How did you get interested in bikes? My dad had bikes and sidecars but he got a car after us four kids were born. My older brother Nigel later got into bikes and used to take me on the back of his Kawasaki Z900 when I was about 11. 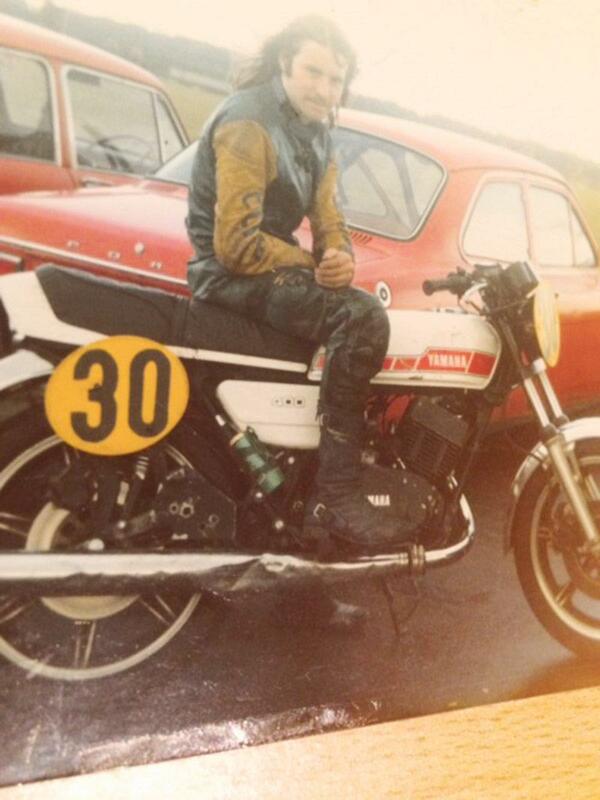 I first rode a field bike around that time too – a 50cc Demm Dove with pedals. I used to do jumps on it and bent the forks badly but kept on riding it. I got caught by the police riding my brother’s Yamaha YB100 on the road when I was 13 so I had an endorsement on my licence before I even got it! What was your first road bike? A Yamaha FS1-E. I wish I still had it. I’ve since bought a similar one but not my original. I had a Suzuki AP50 too and then moved up to a succession of Yamaha RD250s. When I was 17 or 18 I got banned for burning off the cops so I was kind of forced to take to the race track if I wanted to keep riding. I went to watch some racing at Llandow in Wales and a mate asked if I wanted to try it. I had never thought about it but knew a guy down the pub who raced and he gave me an address for the ACU to get my licence and that was it really. That would have been 1982 and the following year I finished third behind Robert Dunlop and Steve Hislop in the 350cc Newcomers Manx GP. What was the proudest moment of your racing career? Beating Steve Hislop to win the Junior TT in 1990. We were great friends and had moved up through the ranks together but by that point Steve had a works Honda ride and I was still struggling a bit and running my own bikes. I won the race and set a new lap record that stood for nine years, so that felt really special. What’s the best machine you’ve ever ridden? The Honda NSR500 V-twin. I raced that at the TT in 1998 and 1999 – broke down on the last lap while lying an easy third in ’98 but finished third the following year. 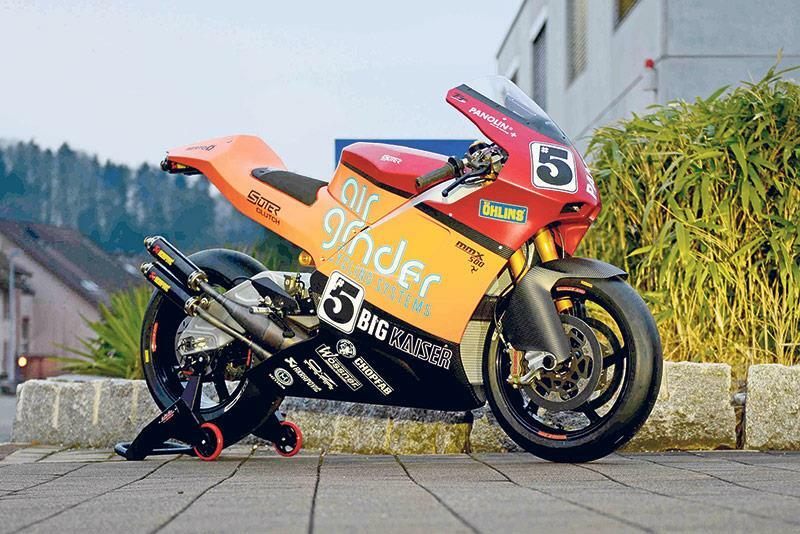 Is your experience with 500cc two-strokes the reason why Suter approached you to ride their MMX 500 GP bike at this year’s TT? I think so, yes. Two-strokes are fickle things and there’s not many of the lads left on the grid now that have experience with them. Young riders haven’t been brought up with one hand covering the clutch, waiting for an engine seizure! You have to nurse them and listen to the engine. I’ve worked on two-strokes a lot too so have a good knowledge and feeling for them. You were retired from the TT. Did it take you long to change your mind? About five minutes! I had a chat with my wife and we decided that since I’m still racing at the Classic TT I might as well do it. I only retired from the TT in 2013 so it’s not been that long a lay-off. Is there any bike you would really liked to have ridden but never got the chance? Yes, a V4 500 – and now I’m getting the chance! I’ve been lucky to ride so many different bikes over the years. I was in the TAS Suzuki team with David Jefferies riding Suzuki GSX-R1000s, I raced the ex-Colin Edwards factory Honda SP-2 at the TT in 2003, I’ve raced 125cc, 250cc and 500cc two-strokes, 1000 four-stroke Superbikes, classic bikes – everything really. I’ve been running my own ILR race team for the last ten years or so, with riders like Victor Cox, Conor Cummins and Oli Linsdell. You’ve won more TT replicas than any rider in history. How many do you have? I don’t know - but I do know they all need cleaning! I think it’s about 92, or maybe 95. Do you still own a road bike? I have a Honda Varadero but haven’t ridden it in about ten years. It’s had more batteries than it’s done miles!